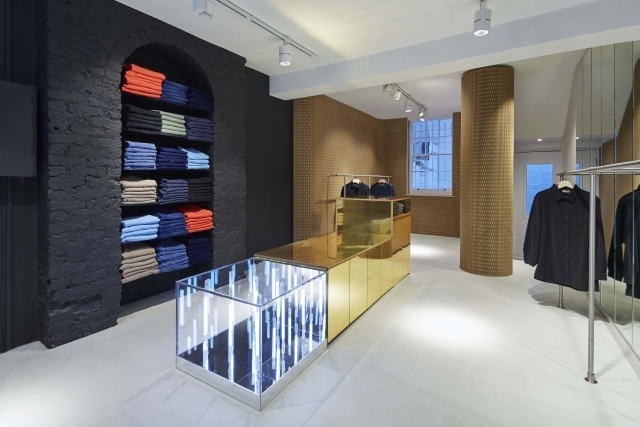 The Cords&Co, a fashion brand devoted to corduroy commissioned In Praise of Shadows Architects in Stockholm to develop a concept for their physical presence as well as the design for their first set of stores in Stockholm. Paris, London, LA and NY. The first to open with the launch of the brand was Stockholm, Paris and London. The deep space has been given a diversification in character to create a spatial sequence from the street to the garden in the back. 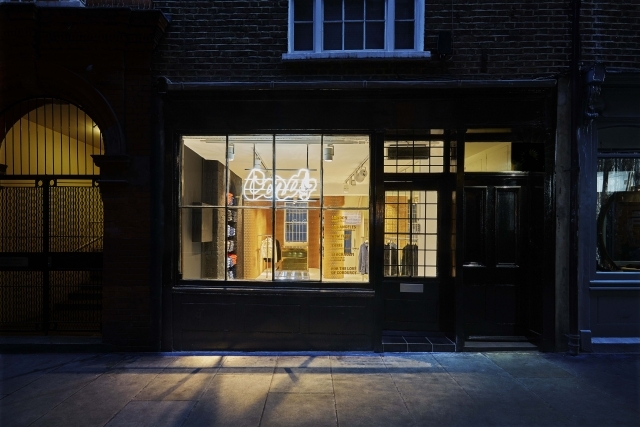 The classic London Store front is kept and brought inside for the window display that is also painted black. The first part of the space is dominated by an old mantelpiece that is colored black and fitted with shelves this is mirrored and the space widened by the mirror wall. 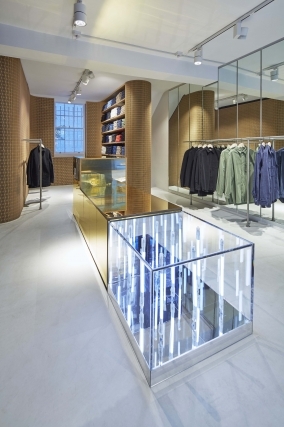 Cashier and display table of brass with a neon mirror installation, mirroring neon “cords”, is the focus of the space. 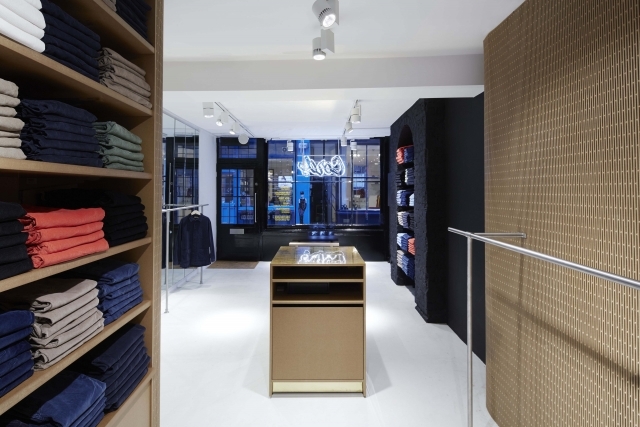 The back part of the store is fitted with MDF closing the space and framing the view to the garden in the back. 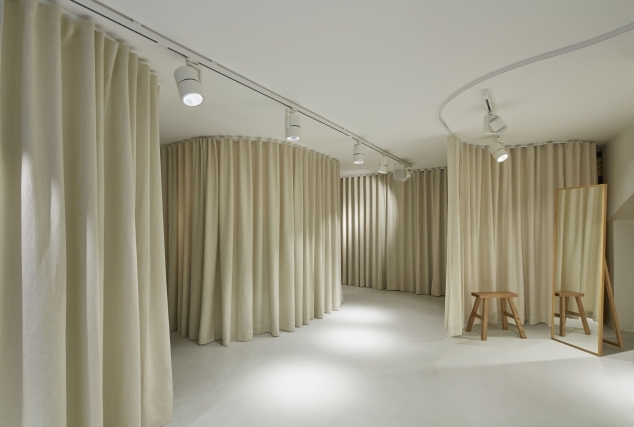 The basement space for dress room and events the subdivisions are created wth textile draperies.